Major Tom's Tarot of Marseilles was born out of a study of all 78 cards of the tarot over 78 weeks as proposed by Jmd at the Aeclectic Tarot Forum. 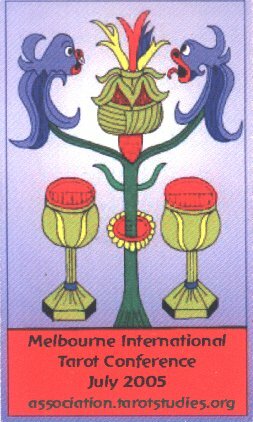 Starting on 21 December 2003, I studied one card per week until the 2005 Melbourne International Tarot Conference. 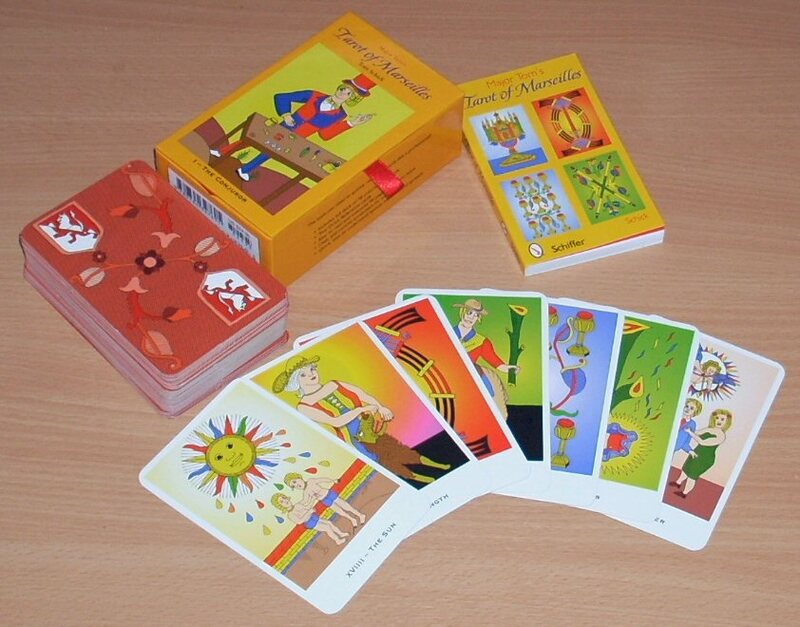 I started by studying the Tarot of Marseilles as published by US Games Inc./ Carti Mundi, but expanded to include the Dusserre Dodal, the Heron Conver, the Burdel which is published as Tarot of Marseille by Lo Scarabeo, and Le Tarot de Marseille published by Fournier, as well as, as many different versions I could find on-line. As part of my study, I produced this deck which I finished on 15 June 2005. The concept behind the deck is to stick to the iconography of the historical Marseilles decks while depicting the characters in modern dress. It is my feeling that the Marseilles patterns would be accessable to more people if the characters weren't in historical clothing, thus it became my task to try to figure out what each of the characters in the Marseilles tarot would be wearing today. To create these images I started by drawing in pencil on an A4 size sheet of drawing paper. I then went over the lines with a black roller ball pen. Next I scanned the images into Paint Shop Pro 8 where I cleaned and coloured them. The really exciting news is that there's a new edition of Major Tom's Tarot of Marseilles now available from Schiffer Publishing. For the new edition I've redrawn some of the cards and recoloured all of them. The most significant change for me was changing the background colour on the Swords suit to a red/yellow blend from a red/white blend.